4 images. 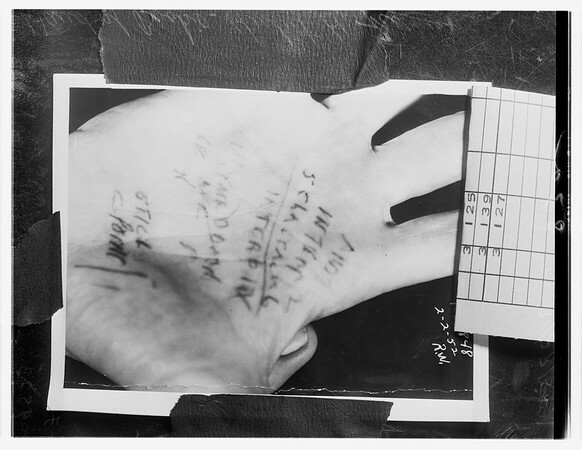 Bookie writes on palm of his hand, 28 March 1952. Herbert D. Freeman.